Paul Heinerth is a pioneer in diver education, in both open water and overhead environments. 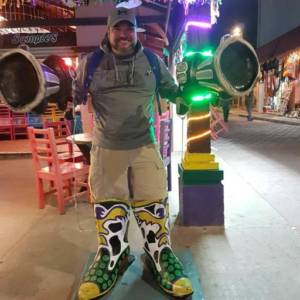 He has been instructing for the National Association of Cave Divers (NACD) and curently with the National Speleological Society Cave Diving Section (NSS-CDS) for over 36 years. 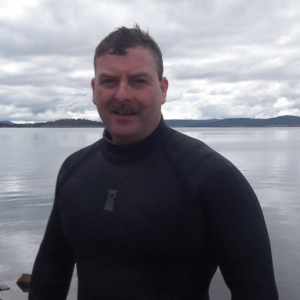 Paul carries a Master Instructor Rating with the Professional Association of Diving Instructors (PADI), and a Trimix, Cave & Rebreather Instructor qualification with the International Association of Nitrox and Technical Divers (IANTD). He also has the rating of instructor trainer with PADI/DSAT, IANTD and TDI . Paul has held world records for deep cave penetration and is credited with many cave discoveries. Paul is a member of the United States Deep Caving Team and participates in significant expeditions that explore and survey the uncharted reaches of our world. His work has been covered by National Geographic in Florida, Mexico, Bahamas and Antarctica. 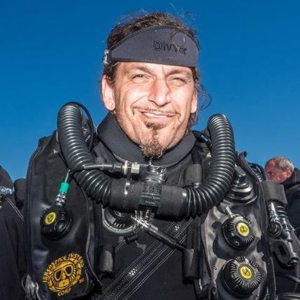 Paul loves wreck diving and has dived such wrecks as the ocean liner Oceanos off the Wild Coast of South Africa and the wreck the Empress of Ireland in the Saint Lawrence Seaway in Canada. Paul Heinerth – Giant Cave Revisited 2013 – Paul Heinerth returns to Giant Cave in Belize to dive what is possibly the worlds largest underwater cave that he discovered in the late 70’s. Paul is an amazing individual and a phenomenal cave diving instructor of whom I have had the honor of not only meeting, but also being his student. 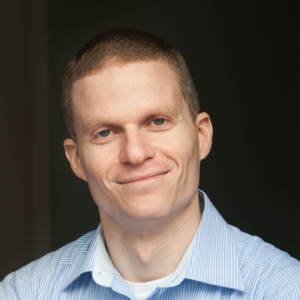 His teaching methods are unrivaled and his sense of humor makes for a very enjoyable learning experience. 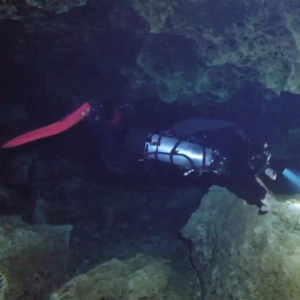 Ever since I was a child I wanted to be a cave diver and thanks to Paul, that dream came true when I completed my cave diving training under Paul’s instruction in December 2011. To this day we remain very good friends and dive together whenever possible. Paul really knows his way around a cave and makes it looks easy! 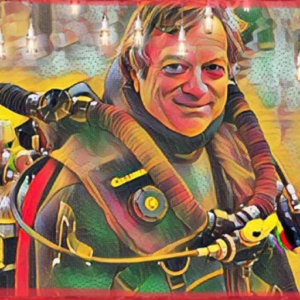 I highly recommend Paul to anyone that is interested in learning how to cave dive – learn how to cave dive from one of the original cave diving legends, Mr. Paul Heinerth! Another great day diving with Laurent Lavoye, Paul Heinerth and Joe. Great day in Cave Country. First, one of my favourite caves in all the world, Cow Spring (low flow and high viz, even better), followed by catching up with a few friends at Dive Outpost (Cas, Stefanie, Paul, Cathy,and Bandit), then removing trash from the river with an Amigo (Wayne Kinard). Does it get any better? A long while ago Paul was my Basic Cave instructor. Today I got to intern with him as I work towards becoming a CDS Basic Cave instructor myself. And by “intern with him” I mean, “make Jason, Shane, and Nicholas’ lives terrible.” They only died a few times today; hopefully they’ll die fewer tomorrow. Watching this very same class, now, so many years later from such a different perspective AND being invited to participate — being told, “Your input has weight and value,” by someone who has been teaching this material for so long — was a thrill of varied emotions. All in all: it was tons of fun. I’m looking forward to tomorrow. Started Working/Diving Cis-Lunar Mk II Rebreather in 1988. Continued with Mk III, Mk IV, Mk IV-R, Mk 5P, Mk 5P-R, and Poseidon Mk VI. Current Generation is Poseidon SE7EN. 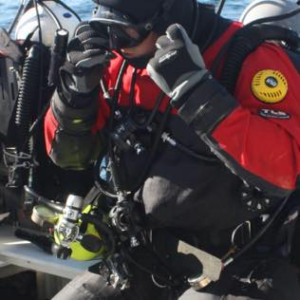 Now I Have Official Rebreather Certification. P.S. I Know Where Parts of the Cis-Lunar Mk I Rebreather are. How awesome is this!! This card will get me into those holes. It is amazing, awe inspiring and just plain beautiful. Thanks Roger Williams for introducing us to cave diving and a great instructor Paul Heinerth. I look forward to seeing more of it. Great to meet Nicholas Hubbard, hopefully you, Shane and I can dive together again. We all passed our Basic Cave Diver course! Thank you Paul Heinerth and Roger Williams for giving us the best basic cave training. I couldn’t have asked for better instructors and teammates to do this class with. Thank you all! Also available for underwater camera & lighting specialist and project safety diver.